Planning a trip to Southern Africa? Here's the ultimate Southern Africa bucket list to help you plan your adventures, from Victoria Falls to the dunes of Namibia. For many, Africa symbolises the thrill of the wild; where mornings start with sunrise game drives, evenings are spent under the stars at your campsite, and all you really need to pack for the in betweens is a keen sense of adventure. Nowhere is this more true than the Southern Africa region. From the shifting sands of the Namibian desert to the thundering Mosi oa Tunya (Victoria Falls) in Zambia and Zimbabwe, and paddling the Okavango Delta in a dugout canoe to sipping world-class wine in Cape Town; Southern Africa is home to some exquisitely unique, once-in-a-lifetime experiences. These are the ultimate experiences we loved during our travels through the region - the ones we recommend you add to your own Southern Africa bucket list! Whenever Cape Town is mentioned in conversation, we both absolutely light up. In fact, these days, our friends know better than to bring it up in our presence purely to avoid having to listen to us enthusiastically rambling about how incredible it is. So why do we love it so much? Well, where do we start? It’s got everything you could ever need or want in a city; the natural beauty of Table Mountain, Camps Bay, and Cape Point right on its doorstep, an incredible food and wine culture (which also happens to be very affordable), and what many locals will tell you is its crowning glory: the viiiibe. After a long and turbulent history, from trading routes to apartheid, South Africa is emerging as a vibrant, colourful country that hums to an infectious beat - and Cape Town’s mix of African and European culture creates an especially brilliant aura we haven’t found anywhere else on earth. The city is the perfect start and end point for any Southern Africa adventures. The crisp early morning air quickly wipes any memories of sleep from your mind as you slowly cruise through the African savannah in the back tray of a jeep. The adrenaline kicks in as your guide whispers "look, there, to your right". You peer through a scraggly bush to see a set of lions tucking into a fresh kill. Welcome to wild Africa. Nothing quite prepares you for witnessing the Africa's big five in the wild for the first time. It kind of feels like you've stepped onto a modern-day Jurassic Park film set, only it's real. All around you is life; tall and tiny, predator and prey. It really does make you feel alive; an all too rare commodity in today's modern life. There is a heap of options, but we're all about getting off the beaten track and experiencing one of southern Africa's lesser-visited national parks, such as Chobe National Park in Botswana. But, if you've only got a short time, South Africa's world-famous Kruger National Park will do. 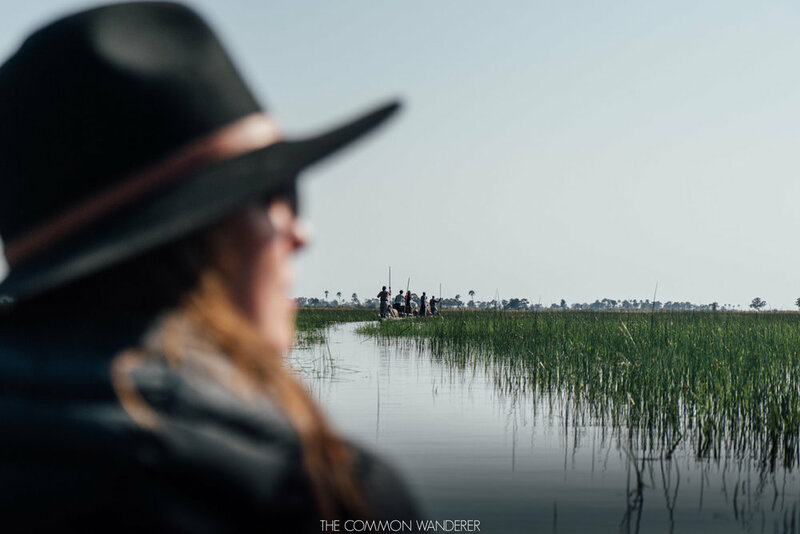 The world’s only inland delta, the Okavango is one of those places that makes you sit back and ponder the meaning of life on our weird and wonderful planet. Somehow, despite all we know about life, desert and water, life thrives here. The Okavango River meets the Kalahari desert, coursing its way through Namibia and Botswana from Angola to eventually spilling across the semi-arid sands. Paddling through the life-giving arteries of the Delta on a traditional Mokoro (a wooden dugout canoe) is one of the world’s great experiences. The only sounds you hear are that of the canoe passing through reeds, gently trickling water, and the unmistakable grunts of hungry hippos nearby. If you’re really lucky, you’ll spot some of Africa’s more famous fauna on the shores as you float by too. We highly recommend staying at least one night in the Delta, on one of the many islands that form during the flooding season. It’s here you’ll see the most radiant sparkling stars and hear the sounds of the wild wetlands - making you question what it all means all over again. Battle of the safaris: Okavango Delta vs Chobe National Park: which Botswana safari should you choose? 4. Marvel at the Victoria Falls… then stand on the edge of them! No list of incredible things to do in Southern Africa would be complete without one of the wonders of the world, Victoria Falls. And rightly so; Mosi oa tunya (‘the smoke that thunders’) is truly one Africa's most awe-inspiring sights - and the mist can even be seen from . In fact, when David Livingstone first laid eyes upon the Zambezi river and the falls in 1855, he wrote in his diary that “scenes so lovely must have been gazed upon by angels in their flight”. But beyond admiring it from the various lookouts, there's also a different, altogether terrifying way to see the falls: standing on the edge of them. With the balance of a trapeze artist, your guide leads you out to Angel’s pool where you literally stand on. the. edge. of Victoria Falls. Here, you can take the most insta-worthy photo of all time and scare the bejesus out of friends and family back home (sorry parents!). Nothing quite prepares you for the desert landscapes of Namibia. And nothing quite prepares you for a hiking to the top of a 300m sand dune. Sure, they look achievable - but when you’re only halfway up and spending more time sliding down than walking up, you’ll be questioning your life choices. It’s at this point you must remember our words: push on. The views from the top of a sand dune in Namibia are like nothing you’ll ever see - layers and layers of ancient sand across the most isolated, desolate landscape on the planet. 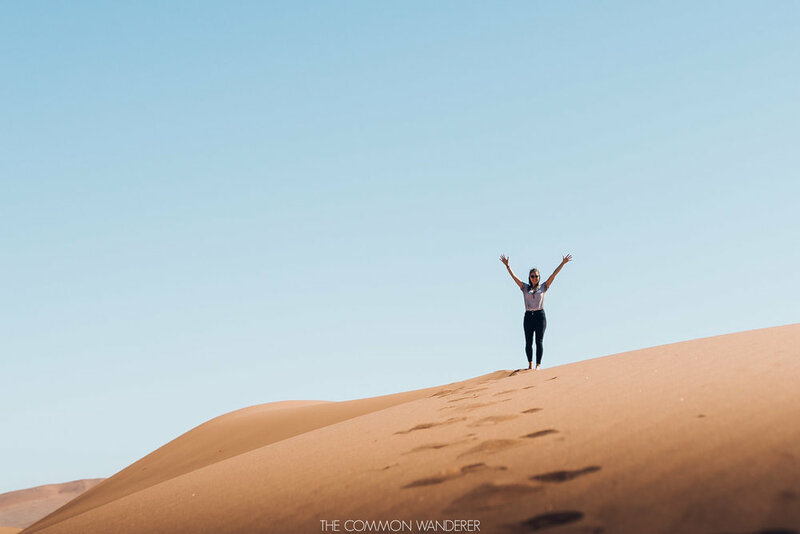 Our recommendation is to climb the dunes in Sossusvlei, where the burnt red sand and vast, curved dunes make for some of the continent’s most incredible scenery. Believe us, it’s worth it. Kolmanskop is a former mining town in the south of Namibia. So why are we suggesting it as one of the most incredible things to do in Southern Africa? Because it’s an eerie ghost town slowly being reclaimed by the desert sands, that’s why. When diamonds were first discovered here in 1908, it wasn’t long before a town flourished, supporting more than 1,200 wealthy residents. Along with a number of stately mansion homes, Kolmanskop had a theatre, ballroom, hospital, school, general stores, and a casino and bowling alley - all following a German style of architecture. It was by all accounts, a thriving and prosperous community, and even had Africa’s first tram! But the good times had to dry up eventually, and they did in 1954, the town being completely abandoned not long after. Today, Kolmanskop is a living, breathing museum, slowly being reclaimed by the Namib desert. You can spend hours exploring (and photographing) the town and its many nooks and crannies, and marvel at the power of mother nature, slowly taking back what’s hers. It’s eerie, but awesome. South Luangwa is home to the famous walking safari - where experienced local guides literally walk you through the plains of northern Zambia. It's one part scary, 99 parts awesome and one of the truly authentic wildlife experiences you can have. And yes, lions and elephants do roam these plains, so you’re really in the thick of it all. South Luangwa national park also has one of the highest concentrations of leopards in Africa - indeed on our visit there in 2014 we saw over 10, which if you're not afraid of being eaten alive on a walking safari, is reason enough to visit. Nelson Mandela - revered freedom fighter and all-round idol for humanity, was incarcerated on Robben Island, off the coast of Cape Town, for 27 years. His crime? Fighting the injustice of the oppressive apartheid regime. To truly understand what he and many of his contemporaries went through requires a visit to Robben Island. Tours are often taken by former prisoners, providing a first hand insight into the hardships faced by many. It’s not sunshine and rainbows, but in our opinion it’s an absolute must do in Southern Africa. After all, to really understand a country today, you need to understand its past, dark days and all. Check out this full-day tour of Robben Island, which takes in key locations in the Apartheid struggle. Everyone knows America’s Grand Canyon, but very few people know about the world’s second largest canyon: Namibia’s Fish River Canyon. Like so many places in Namibia, this huge chasm in the earth is a great place to go if you want to feel both teeny tiny and in awe of the power of nature all at once. At 160km in length, 27km wide, and 550 metre deep, the sheer size of Fish River Canyon is guaranteed to blow your freaking mind. If you’re feeling even more adventurous, there’s also a five day hike you can do, but it’s only open at certain times of the year due to flooding. Of all the safaris we’ve done in Africa (and we really have done a few! ), Chobe ranks as our favourite. For a start, it’s home to four diverse wildlife regions, including the Chobe riverfront, grass and clay pans, the remote Savute channel, and a marshland similar to the Okavango Delta which means endless and varied wildlife viewing opportunities for you. When it comes to animals, Chobe really doesn’t disappoint: hippos, giraffes, zebra, kudu, impala, antelopes, monkeys, baboons, birds - you name it, it’s there. But the real MVPs of Chobe are its elephant and big cat populations. 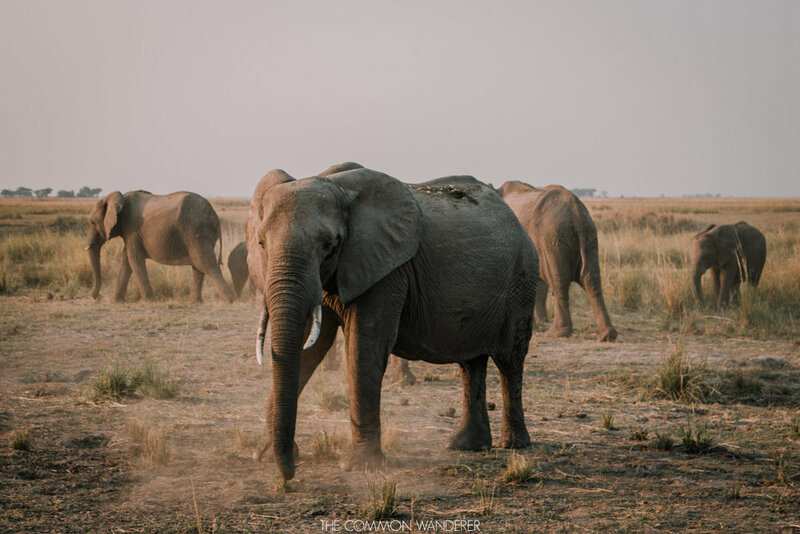 Conservation efforts in recent years has seen elephant numbers swell to over 120,000 - thought to be the largest African elephant population in the world. And those big cats? Well, by day we saw prides of lions roam the plains (and a leopard with a fresh kill) - by night, we fell asleep to the sounds of lions stalking past our campsite and calling to each other in the dark. Its name might conjure up images of driving from one well-manicured garden laden with flowers and shrubbery to the next, but South Africa’s garden route couldn’t be further from it. Instead, this is one of the most stunning coastal roads in the world, stretching nearly 300km from Mossel Bay in the west to Storms River in the east. There are lots of things that Cape Town does really well (see above notes on our obsession with this incredible city!). But there are also things that it does exceptionally well, and producing world-class wine is one of them. From Stellenbosch to Franschoek, some of the world’s most prestigious wineries call the towns of the Winelands area home. What’s more, the gourmet scene here is truly remarkable and like most things in Cape Town, really affordable for the average traveller. Pair your wine with some of the most beautiful rolling landscapes on the planet, Dutch colonial architecture from the 17th century, and some of the tastiest food around, and you’ll quickly see why this is one of Cape Town’s most beloved haunts for travellers and locals alike! For an epic experience like none other, splurge on a heli tour over Franschoek followed by a gourmet lunch at one of the wine estates - you won't regret it! There’s a reason that Namibia has been called the land of endless horizons; its desert landscapes and clear blue skies really do make it appear as though the sky stretches on forever. But when night falls, a totally different kind of magic takes over. Standing under the starry skies of the Namib desert while millions of stars twinkle above you is an experience that’s almost indescribable. We’re pretty convinced that the whole of Namibia is mother nature’s way of reminding us that we’re all part of something incredibly stunning and important - and witnessing the night sky here is a true once-in-a-lifetime kinda thing. Looking for cheap flights to the Southern Africa region? Check out SkyScanner for the best airfare deals now. Accommodation across the region is quite varied, from camping and hostels right through to luxury 5-star safari lodges. Check out Hostelworld for cool hostels all throughout Southern Africa, and HotelsCombined for amazing deals on top hotels! With a bit of forward planning and preparation, it's absolutely possible - and easy - to travel independently through Southern Africa. The beauty of travel through this part of the world is there's always a jeep, bus, mini-bus, taxi, or moped headed in the direction you're going. But if you're feeling a little apprehensive about taking on the continent by yourself, joining an overland tour is an amazing way to see all that you want to see, without the hassle of navigating the long distances and having to plan out your accommodation. Intrepid Travel run responsible small-group overland adventures through Southern Africa, just like this epic 'Vic Falls to Cape Town' trip, taking you through Botswana, Namibia, South Africa and Zimbabwe. You'll overland, camp, slide down sand dunes, spot animals, and glide through the Okavango Delta on a Mokoro! You shouldn't leave home without comprehensive travel insurance wherever you go - but particularly for a continent like Africa, where distances can be vast, travel conditions a little different to what you're familiar with, and general healthcare less developed than it probably is at home. We always travel with World Nomads Travel Insurance to protect ourselves and our belongings no matter what happens. Is there anywhere we've missed? Let us know your ultimate Africa bucket list in the comments, or shoot us a tweet and let's chat all things southern Africa!